Woman under Maple and Ginkgo leaves. 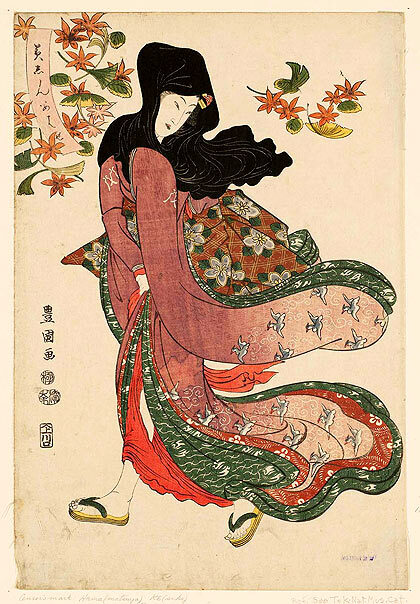 From the series Comparison of Beauties (Bijin awase). Edo period, Japan, 1811 (Bunka 8), 8th month. Artist: Utagawa Toyokuni I (1769-1825), Japan. Woodblock print - ink and color on paper.